Does anyone else remember a time when mid tier dynamic driver headphones were intended for musicality and fun factor with a nice-forward mid range, instead of V-shaped sound signature that is neutral prone or accurate in tone? 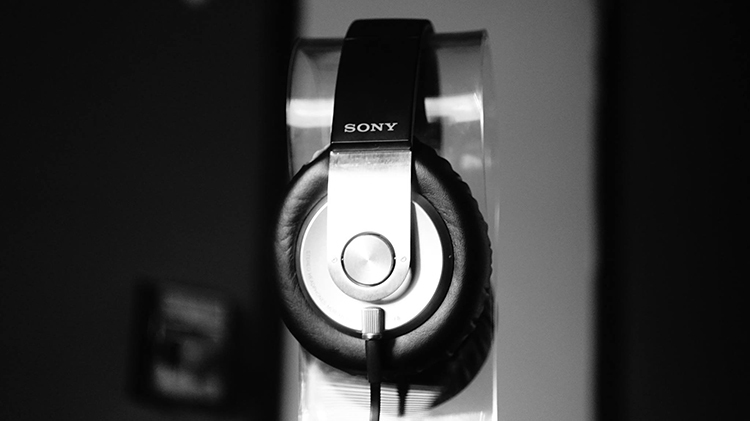 I feel like that era of joy came to an abrupt end around the time Sony discontinued their XB series headphone lineup. Their legendary Extra Bass series is a blast from the past that has ceaselessly forced a smile on my face ever since I decided to repurchase my own XB-1000. 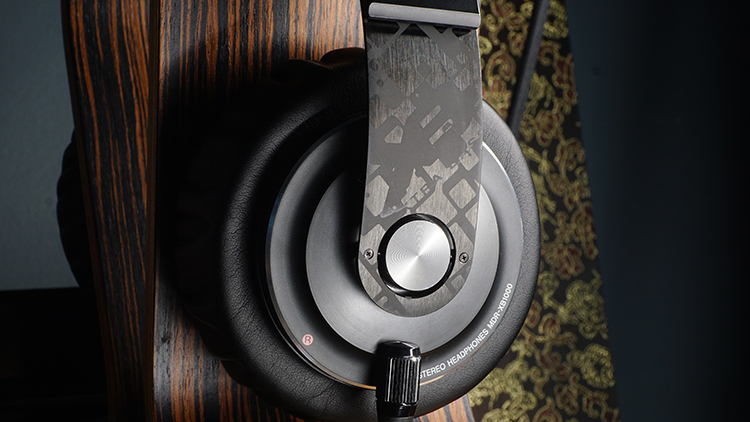 It is still one of the best bass head headphones, even in today’s abundant mid tier titan headphone world! I can’t tell you what originally came in the headphone package…because I was unwilling to pay $800+ for an new and unopened XB1000 box. The used price in a new box is beyond silly…but thankfully, I was able to score a mint version of the headphone on Amazon Japan for only $300 with included 3 day air service a few years ago! I’ve owned this headphone for a while, but it never came with anything but some bubble wrap and foam protection. Careful though, the pads are prone to flaking and decaying rather fast. Never buy the cheaper pad replacements out there, go for the official ones, they are worth it to retain comfort and the original sound qualities that are totally ruined by knock off pads. The headphone is stupidly large and you really can’t grasp just how STUPID it looks on a human being until you see someone wearing it. This headphone is 3x the thickness of my HD800 and has a much wider and longer headband arc as well. Undoubtedly, it remains one of the largest headphones I’ve ever used. Oddly enough, the XB1000 is not at all heavy or clunky while you wear it and remains comfortable for long hours of usage. Those king sized pads are basically small pillows for your head that act as the barrel of a bass canon, primed by a 70mm driver behind them. Seriously, this headphone is yummy and oh so tasty in comfort qualities for the most part and despite it being 375g. I don’t see why symmetrical design is needed if it only added bulk and nothing more on the headband area. Keep the band simple and pad it nicely, instead of making the headband much larger than usual or that is even needed for the sake of symmetry! So you say you like a ton of overpowered bass!? Well, the XB1000 might not be for you if this is the case. This headphone having an insane amount of bass is a meme created by audio enthusiasts who owned the XB700 or XB300 that assumed the bigger and more expensive model has “even moarrrrrr bass!”. Stop listening to others who don’t post images of the headphone they are talking about, or that heard it once at a meet years ago! The amount of misinformation about these headphones is so severe on some other forums, that I want to twist my head clean off my body and throw it at someone. The XB700 has more bass than the XB1000 and the XB300 felt like it is composed of only bass and almost nothing else. The XB1000 and the XB500 share the same setup, which is potent in every facet of the spectrum from top to bottom, but not at all severely overpowered. 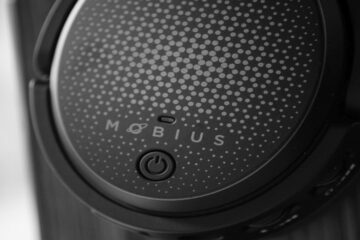 This is a headphone with great bass quantity, that much is true, but it also digs deep enough in responsiveness to make my HD800 run for cover. To my ears, the XB1000 is significantly better at physical response to the lowest lows imaginable. This is how a great headphone should sound with regard to bass: clean and pure for the price, abundant in quantity but without going too far and most importantly able to retrieve detail and respond to bass cues from the core of the Earth without batting an eye. When you think about it, this really is a legendary headphone that Sony needs to revise and bring back. Let me tell you, if you like gut wrenching deepness (you can both hear and feel it, but it never gets bloated or feels like too much quantity) then you need to try to find an XB1000 for yourself to experience the last, truly amazing dynamic driver produced by mortal hands. Ever since this headphone was discontinued, nothing else I am aware of has been able to take the XB1000’s throne as King of the Bassheads. There are many other headphones that have more quantity, but hardly any of them I can recall have the literal responsive ability to extend this low…jeez. I love underground tunes from the likes of Vaun and Stickman, I find myself reaching only for my XB1000 these days for the Mindstep, Chillaxing and instrumental digital beats genres. This is my winding down headphone that I use at night before bedtime, something I lay or sit there with after I dim the lights and begin to sip some tea. The headphone does not hit hard, which is another meme I want to dispel that runs rampant in the community of those who don’t actually have the headphone in the first place: it isn’t what I would consider soft on the draw, but it does not slam harshly at all and it retains immense deepness and a good sense of quantity at all times. This type of bass setup is so rare, that I can’t think of another headphone in the price tier that sounds similar or that offers anything like it. You get excellent clarity, crazy response and a very musical tonality that is absolutely colored beyond words. Accuracy is non existent in this headphone, it is boosted to Asgard and back, but also has a gentle warmth and thickness to it that keeps everything satisfying. Too much purity is actually a bad thing for me when I consider the levels of bass response achieved by this headphone: I would not want a pure or liquid bass type in tone, I’d want something a little thicker sounding and that doesn’t feel flat or too unmusical in texture. Imagine the HD800 thin bass with a response factor like this…eww. Thankfully, the XB1000 has none of those problems and walks the line of near perfection for quantity vs tonalities achieved. Believe it or not, this headphone is moderately forward sounding and is completely absent a V-shape recessive mid range appeal. If you like vocals, you can do well here and never have to make the sacrifice in bass quantity to bring up the mid range to an acceptable position. Compared to the XB500 and XB700, the XB1000 here has noticeably more forwardness and far less bass bleed factor. The XB1000 remains the most clean and civil of the lot, the most detailed and the most lush feeling in thickness. By comparison again, the HD800 feels like a thin piece of paper, the XB1000 feels like the substance factor of everything is of a much denser physicality. If you like that nice, weighted and thick feel to the entire spectrum, this is one of the best headphones in the middle tier pricing area for it. 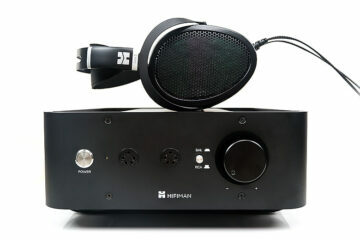 It is also uncommonly plentiful in that physicality and density factor for a dynamic headphone driver, where dynamics tend to sound on the thinner side. Think improved Philips Fidelio X2 here for substance needs…and this headphone was made like centuries ago in terms of audiophile years. Nasal tendency is not a problem per say, but it does rear up now and then in certain tracks. What impressed me the most here is that the XB1000 has enough midrange bloom and presence to negate the potent and abundant low end, neither really fight for attention until you start listening to tracks geared for bassy experiences. For general listening, this is a good, linear feeling setup from the bass end to the midrange. It isn’t the headphone I reach for when I want to roll with Sinatra or Tony Bennett, but for the most part it does a fine job with vocals. For this price ($300-400 used now) you get a solid experience in substance factor and plenty of forwardness…so I really can’t complain in the slightest. Many other headphones, such as the Denon D-series sell for $600+ easy and don’t sound this good. In fact, most of them have a nasty recessive midrange setup that makes me want to vomit. I can’t commend Sony enough for this and I pray they read this review and someone there remembers how this headphone was made, if only to revise it and re-release it with improvements. Ah, the weak link in the chain. If you have very plentiful mids and bass, odds are good you’ll need very plentiful treble as well in attempt to prevent the sound signature from feeling uneven. I think Sony overdid it just a tad with the amount of treble here, but thankfully it is acceptable in responsiveness to EQ enough to be able to be toned down to enjoyable levels. There are times where it can get a little bright and slammish, but it still performs admirably at this price point. I am a bit sensitive to treble and there are times where I check off -2dB off the treble ends in whatever source I am using. With that small EQ drop down, the headphone stays in a nice place up top for me to enjoy for hours. While on a portable setup, I’ve found that amplification is almost a requirement for a nice treble experience, as I am unable to solicit an upper end that I find as attractive as the mid range and bass experience inside this headphone. With more power, a more tamed upper end seems to make itself available. My DX90 and new Luxury and Precision L3 are not capable of putting out enough power to do the headphone justice, it is only through my Airist Audio or similarly powerful desktop amps with more than 1 full watt of output power that can solidify the upper end enough to make me consider it very enjoyable. Oddly, the XB1000 is rated at 24ohm…which seems very wrong to me. My DX90 can only just power it on full high gain mode at 75% volume, that doesn’t seem like a 24ohm headphone to me in the slightest. This headphone isn’t sibilant, but it does have a meaty upper end that reminds me a lot of the Hifiman HE500 in the way the treble is physically portrayed: plentiful in body, a bit slamming at times but still not really a problem unless the track is of a bad quality. Yet, also one that improves greatly with proper amplification. Tony Benett and Lady Gaga’s Jazz duet album sure does sound lovely in .DSD through the XB1000, so I can honestly say the upper end seems to be of a more reference tonality than the more colored mid range and bass experience the headphone has to offer. Well, with pads and a 70mm driver, expect the staging elements of this headphone to be large and spacious to boot. 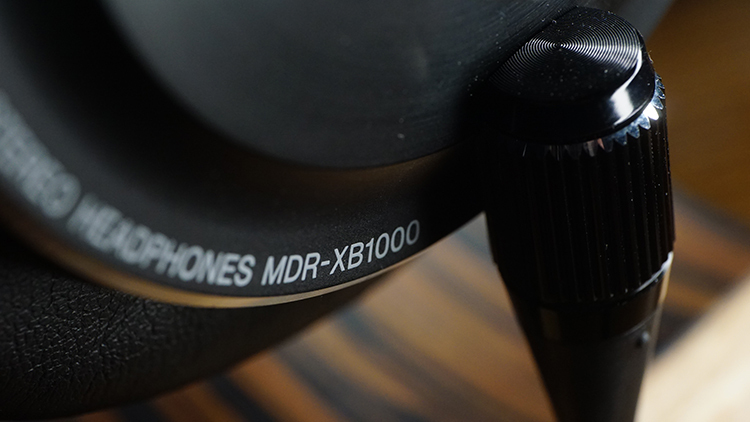 Technically, the XB1000 is a closed headphone with some vented bass ports, but I do consider it a closed headphone. With that in mind, the imaging and staging prowess of this headphone is only exceeded by the Denon D7000 and JVC DX1000, or aired out and vast sounding “closed” headphones. The stage on this puppy is huge and a full few steps up in depth and width compared to the XB700. As a stage enthusiast who values sound stage size over all else first and foremost, I am satisfied with what this headphone has to offer in terms of sound staging. Width, height and depth of field are all very good, but what really set this headphone apart from most others in the tier was the amount of air and separation between instruments. Back when this headphone was released, hardly any closed headphone had a stage like it. Years later, it still remains one of the top choices for sound stage enthusiasts like myself who prize exceptionally well formed staging elements. True, it isn’t the biggest or best in any one imaging property, but as a whole (much like the Beyerdynamic T1) the sum of all the parts equates to something special and easy on the ear. The XB1000 is a joy to listen to and you never feel closed in or like the walls are falling inward on you, it does very well with Classical and Jazz, as well as Metal and Rock, live recordings and especially well with binaural albums. For this price, there can be no justified complaints for what this headphone is capable of for imaging needs, it really lacks nowhere in sound staging properties. Would you look at that, I actually have both! That might seem dumb, but the XB700 is my go to bass can, the XB1000 is my go to relax and chill out headphone. The XB700 hits much harder and is much more engaging, slam prone and bright in the background coloration. The XB1000 is softer and more elegant sounding, more relaxed on impact and physical slam with a less bright background, something noticeably darker in the curtains behind the music. The XB1000 is also much larger and deeper reaching on the low end than the XB700, so if you are into raw quantity and a blaring effect, the XB300 or the XB700 are the wiser choice. If you want something that reaches deep but doesn’t feel overpowered in quantity, the XB1000 is the better of the lot. The XB700 does not benefit from amping and can run well off portable players, but the XB1000 requires amplification. If your portable rig doesn’t include something very powerful for amplification needs, skip this headphone…you’ll miss out on everything great about it that makes it special that comes only through proper powering. Damn, I love this headphone and I feel like the world of mid tier headphones once started out with very musical and abundant product selections, but then recently moved to a more neutral or less musical appeal in tonality offered. Big bold and beautiful innovations like the XB series were literally ended and replaced by Sony’s new XB series…which are all vastly inferior products. Denon did the exact same thing with their D-series models and it bugs the hell out of me! Why fix what everyone loved and that were never broken in the first place!? I want my bass, but not at the cost of a V-shape mid range. This set proves you can get forward mids and great bass quantity without over or under doing it, so why don’t many other companies also do this as well? The truth is I have no idea and it is very hard to find a comfortable, forward sounding headphone with a great bass experience as well. If you want it, you’ll have to reach into the past to find it. 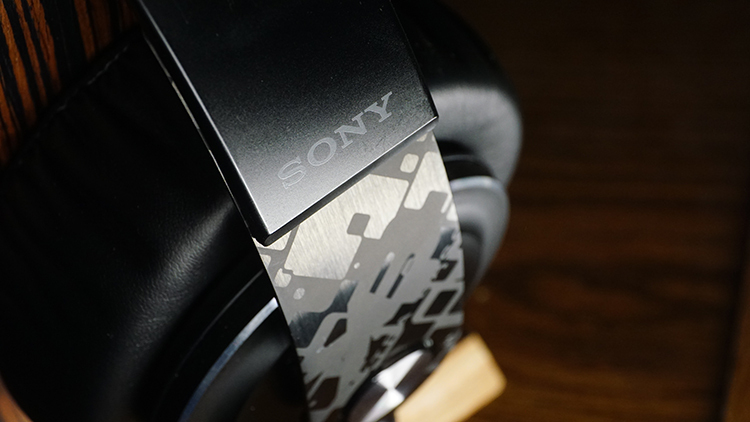 Sony, please with a cherry on top…bring this headphone back with a new exterior design. Keep what is amazing about them, but improve it. We are 5-6 years later and the technology has improved drastically since then, you can do it and I’ll be first in line to buy a new XB1000 v2.0 from you! The symmetrical design I’d what one my first criterias when I chose earbuds or headphones. It participate on the balance of the product. Furthermore it is thanks to this design that I was able to disassemble my XB1000 so my wife could sew a new band pad for me. I’ll put some photo online soon. Sounds awesome, mate! Would love to see that. Please check this out: the work on my xb is done. Just need to customize two little things but i already love this. Tyler what happens when you get to 2017? I will buy the headphonecentral2017 domain and use it on my content. I try to make sure my content is what I looked for when i had tried to find headphone reviews online. The year was a big factor for me just because I always didnt even look at a review that said it was made in 2015 or later. I had this mindset because it’s hard to find the best headphone for your needs when other better headphones may have hit the market recently. Thanks for replying! I didn’t think you would even reply. Oh why not just change your meta data for 2016 then 2017 and save on the domain space costs? Mr. Michael Piskor. Thank you very much for the well written article. You have fuIfilled your wish to be a journalist . I bought the Sony Xb1000 a few years back. Since then, as I am a collector I kept his in an airtight camera dry cabinet and take out only to listen once awhile. This phone is highly scalable with better amplifiers ( ALO Studio Six for example ) But the cables are not removable and thus limits tweaks to this phone. This is definitely a bass headphones (though better balanced as the mids & highs are still there) and a delight to this segment of market wth the likes of Beats. 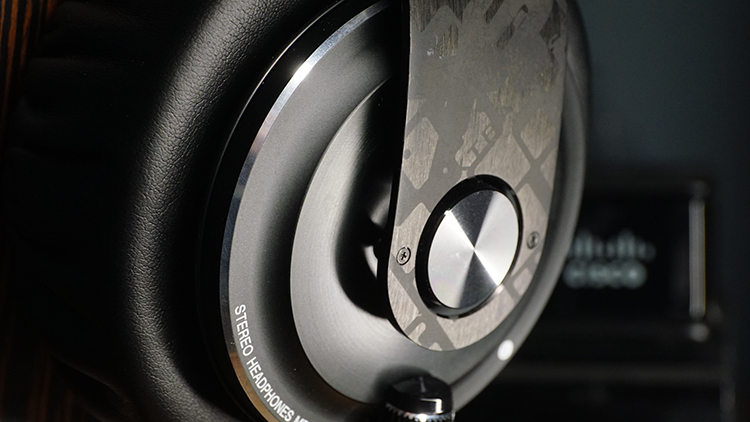 We like Audio Technica W3000anv, 1000Z and the Audeze XC headphones. Many of most of the readers here probably also share the same sonics taste, simply because these are such excellent sounding headphones. P.S. I tried to buy a new pair of pads but so far without success. I am resident in Japan. If you have information of the availablity of these fat and tick pillows, please share with me. Thanks.